July 2011 – CREATE. PLAY. TRANSFORM. All potters want to have their own set of dinnerware. I’ve made several pieces for friends and family. They are all special and it is true that making plates is one of the most challenging pots to create. Why? There is a notion that all plates should look the same. For handmade potters like me, the word “same” is impossible. There’s got to be some imperfection in the pieces that we make. They may appear similar, visually. But once you feel them and pay attention to detail, the word “unique” start to come in. No two are alike. 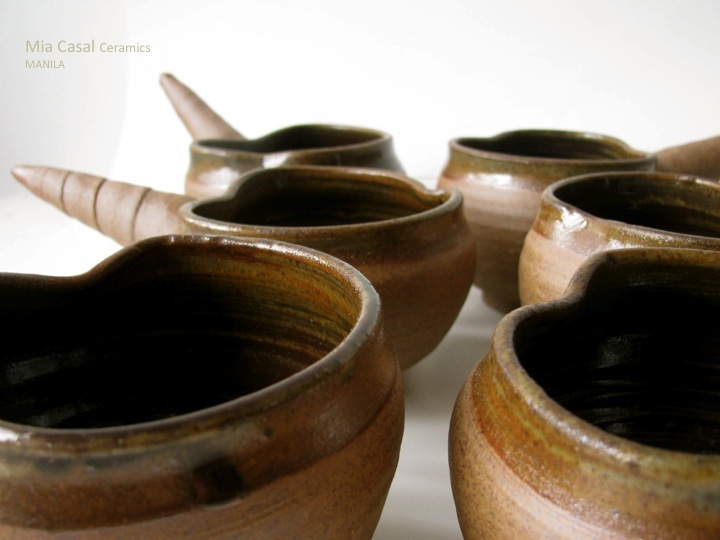 I enjoyed making this set for Seven Vessels: Kneaded, Formed, Fired. 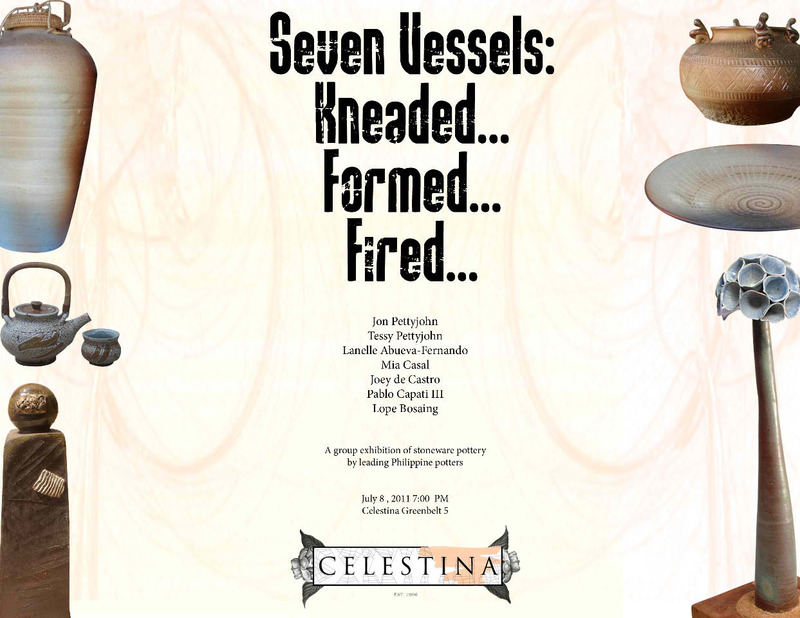 It is an ongoing group exhibition by the leading stoneware potters in The Philippines. My handmade dinnerware is inspired by one of the trips I made to Palawan. From the airplane, there were so many islands and islets within the vastness of the sea, which inspired me to create these. The dark spots that are peeking through the glaze is the iron content that I mix with my clay. I used my favorite turquoise glaze here that represent the sea. The exterior part of the plates and bowls are unglazed too, which reminds me of the different colors of sand surrounding the beaches in the country. No two are alike. I love sipping my soup directly from the bowl. It’s rare that I use a spoon. However, bowls have hindered us to drink from the rim because they don’t usually have handles. And since I love the sea, I added a shell detail on the handle. The content of liquid that can be put here is a good serving size. These pots can be used for soup, salad dressing, wine, water, ice cream, and anything else that you can think of. These are my handmade tumblers for water, wine, juice, etc. Notice that I don’t use the same glaze for the set. In parties, we tend to leave our glasses on the table. We leave our glasses and don’t remember which one is ours. Notice the alterations on the rims too. No two are alike. 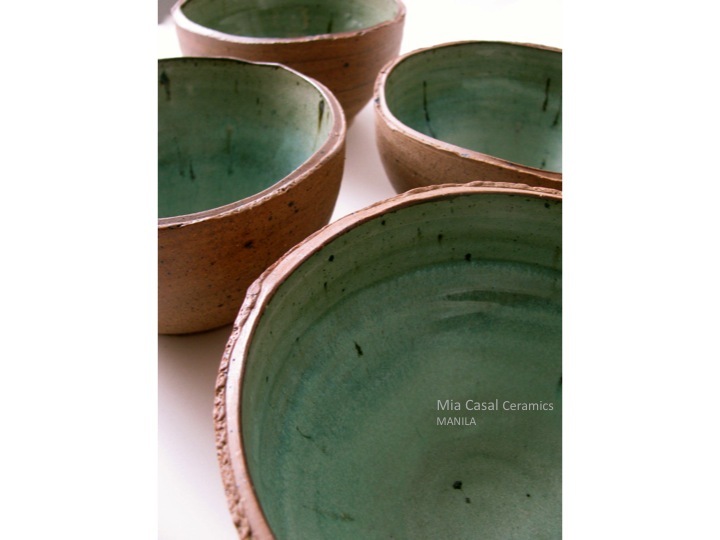 My handmade pots are currently in CELESTINA Boutique Gallery in G/F Greenbelt 5, Makati City. The show runs until the first week in August 2011. New pieces will be out in the months to come. Handmade stoneware jewelry pieces are coming out too! Please visit http://miacasal.weebly.com to see more of my pottery. Pottery Exhibitions are held each year in The Philippines. 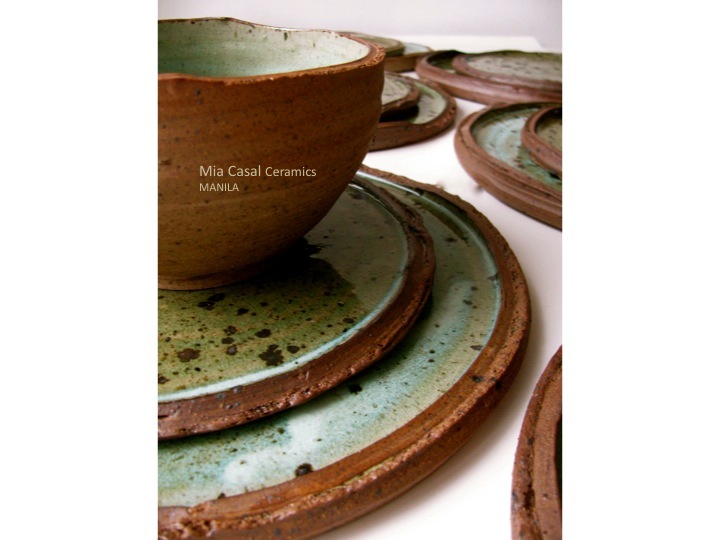 Different Art Galleries around Metro Manila carry the works of passionate potters from several regions. 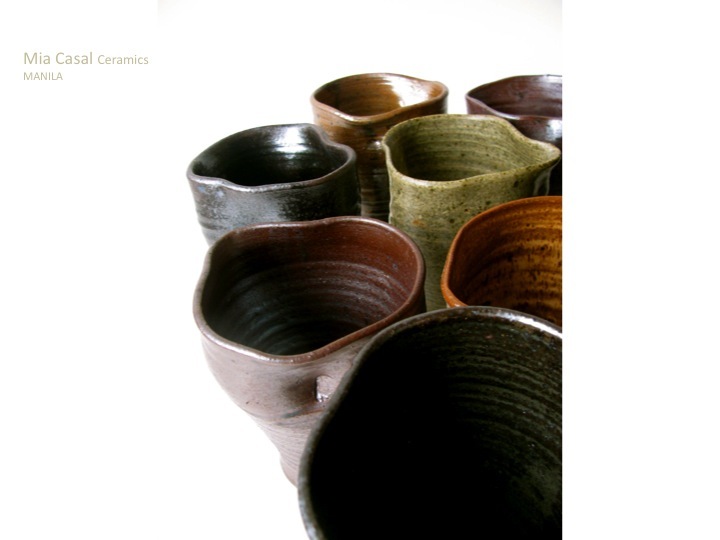 On July 8th, 2011 – Potters from Laguna, Antipolo, Batangas, Sagada and Manila are showing their works. Handmade and well-crafted masterpieces, created in some of the stoneware pottery destinations in the country. We are sharing one passion through several inspirations: Nature, personal experiences, life, and the vast influences around us and within us. Both seen and unseen. The show opens in July 8th, 2011. Celestina Boutique Gallery G/F Greenbelt 5, Makati City. Cocktails at 7pm onwards.